Cheaper than Call of Duty Zombies. It's 1942. 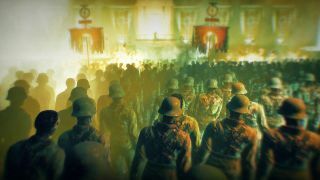 The Third Reich are about to lose World War II as the Allied forces close in on their main headquarters. 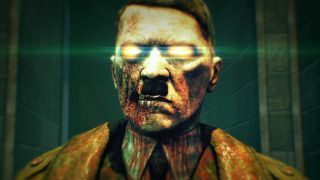 In desperation, Hitler initiates his plan to use Nazi occult research and create an army of zombies in retaliation. 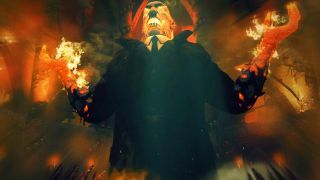 Will you have enough ammunition to take on a seemingly unstoppable force of the undead? As long as you bring enough friends along for the fight, then it's a breeze! 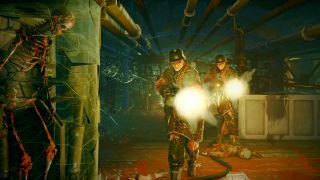 Rebellion’s Zombie Army Trilogy, a bundle that includes all three Nazi Zombie Army expansions featured throughout the Sniper Elite series, has been polished and repackaged into a pretty decent standalone co-op title. The Sniper Elite series is all about being a pro marksman; the aim, basically, is to get as many headshots with the weapons at hand as possible. Since this game is all about facing (mostly) slow-moving zombies, skeletons, and other undead Nazi soldiers, it feels absolutely fantastic when you pull off headshots that make their heads explode. 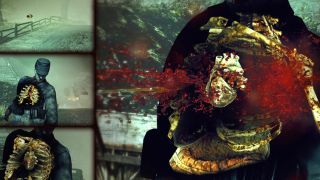 After making a shot - and calculating various factors such as the shot's trajectory, the distance between the player and the target, and how many enemies are lined up in a row - the game enters a slowed-down state where players view the shot's trail and get an x-ray glimpse of the bullet traveling through an enemy’s skull. While your main objectives vary, your side goal during each mission is to rack up the largest combo possible to achieve a high score. I like to think of the game as an arcade rail shooter where you’re able to traverse the maps at your leisure. 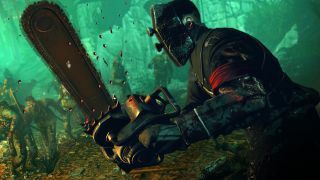 Zombie Army Trilogy has two different modes: Campaign and Horde. 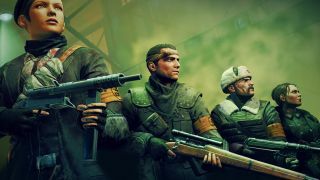 Campaign mode presents a storyline where you and up to three other players progress through five separate missions containing three episodes each. 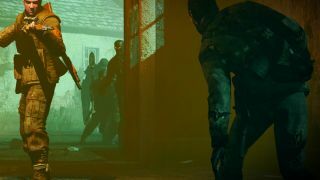 Horde mode is, essentially, a survival mode that challenges players to survive waves of zombies as they grow increasingly more difficult. 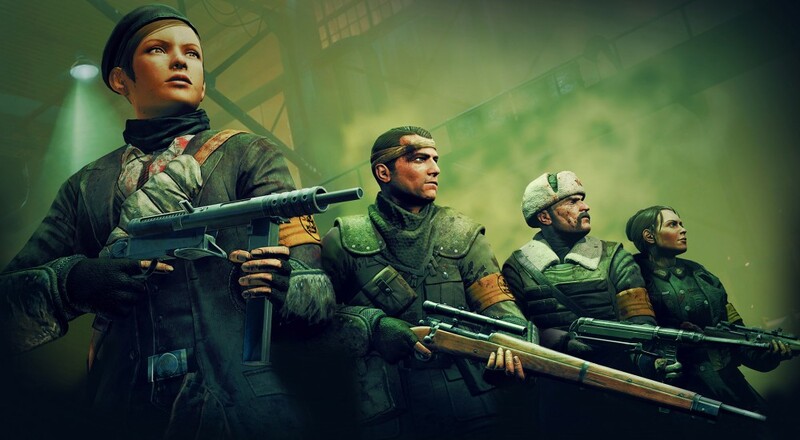 Zombie Army Trilogy’s added drop-in/drop-out features help immensely when playing with friends. Since Campaign episodes can take quite a bit of time to get through, it's nice that players can join in or leave on the fly without having to return back to the matchmaking lobby. 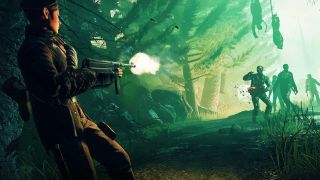 Though sniping is an ideal solution when dealing with the undead, players are also able to carry subweapons like shotguns or pistols to take on close-range zombies, or to use as a last resort if rifle ammo is dwindling. However, the game places a high emphasis on headshot kills in order to rack up your combo multiplier. The other guns are usually there for pure survivability and ammo management, as they make it much more difficult to get headshot kills. 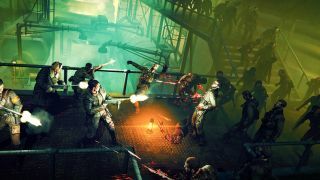 Players also have a selection of explosive items like trip mines and dynamite sticks, which can be used to fortify defensive locations with traps and take out large numbers of zombies in an instant. These items typically run out quickly, though, so I'd recommend using them (except for the throwing grenades) only when you’re facing large waves of zombies. These encounters typically happen at the various checkpoint areas - called Safehouses - scattered throughout the map and at the very end of an Episode. When it comes to your primary rifle weapon, I found little difference in how each one performs compared to another, and couldn't decide which ones were overall superior. One rifle might be slightly faster to fire, and one might have a little less recoil, but they’re all largely the same. As a result, picking one rifle you like and keeping it with you throughout the campaign leaves little room for variation and can get stale. Page created in 0.5165 seconds.